Despite this not being completely real estate related, I decided to share this as many of my friends enjoy biking and networking with other active individuals…and I love biking and keeping people informed. Win/Win! The Columbus Bike to work challenge begins on May 11th. May is also Bike month so if you’re into biking but not interested in the challenge, here is a list of events to pick and choose from. The picture? 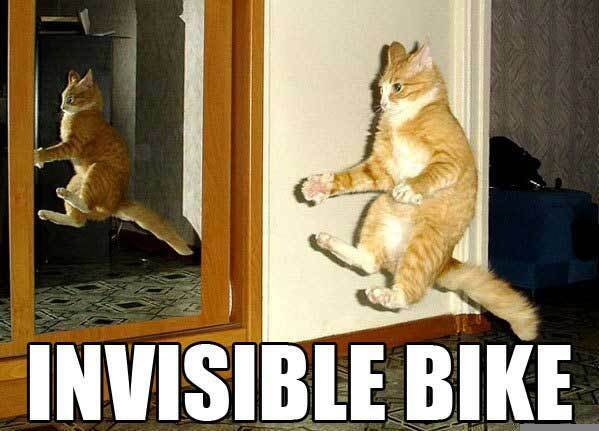 You all know what a bike looks like…the cat is just cute! Computer tip: Anytime you see a hyperlink on my blog, click on it which will take you to another resourceful website. If you want to keep my site up, right click on the hyperlink and click “open in new tab”. You can do this in any site, of course and when I was told about it, I nearly fell out of my chair. I use it ALL the time! This entry was posted in Biking, events. Bookmark the permalink.